With First debate over, next one will focus on Candidate policies to be applied. 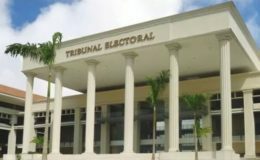 The president of the Chamber of Commerce, Industries and Agriculture of Panama (Cciap) , Gabriel Barletta, recommended that the presidential candidates give answers to the electorate on what and how they will make the changes they propose in their proposals, on April 10, when the second presidential debate takes place. 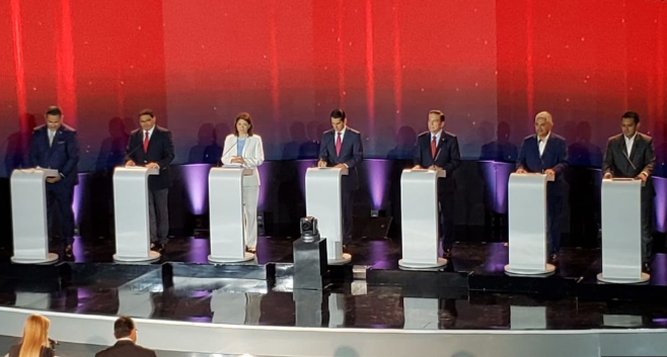 In his opinion, the debates can not remain in the “simple diagnosis” of the existing evils and deficiencies, because the voter is already aware of what needs to change in the country. “The candidate has to say what to do and how,” he said yesterday in a press release. 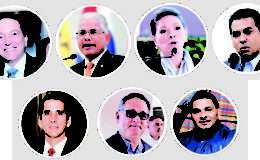 The reaction of the Cciap president comes four days after the seven presidential candidates: Ana Matilde Gómez, Ricardo Lombana, Marco Ameglio, Laurentino Cortizo, Sául Méndez, Rómulo Roux and José Isabel Blandón, participated in a first debate, organized by the Electoral Tribunal (TE) and the University of Panama. After this activity, some leaders from different sectors of the country expressed their dissatisfaction, because the candidates did not deepen their proposals. For Barletta, the debates among the candidates for the presidential chair constitute a “magnificent opportunity” for citizens to identify them and know their respective electoral proposals. In addition, he indicated that “it can be said that, through this exercise, candidates go to the board to show: knowledge of the subjects about which they are asked; comprehensive and comprehensive understanding of the country’s general and specific issues; an accurate view of the global environment and, most especially, the capacity to resist and react to immediate pressures “. The next electoral debate will be on April 10 and will be held at the CCIAP headquarters. 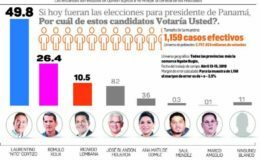 The Electoral Code requires the TE to carry out, at least, two presidential debates before the general elections next May.